Lorenzo Ferrero is a contemporary Italian composer, librettist, author, and book editor. He started composing at an early age and has written over a hundred compositions thus far, including twelve operas, three ballets, and numerous orchestral, chamber music, solo instrumental, and vocal works. His musical idiom is characterized by eclecticism, stylistic versatility, and a neo-tonal language. The Teatro Comunale di Modena is an opera house in the town of Modena,, Italy. The idea for the creation of the present theatre dates from 1838, when it became apparent that the then-existing Teatro Comunale di via Emilia was no longer suitable for staging opera. However, this house had been the venue for presentations of all of the works of Donizetti, Bellini and Rossini up to this time, and a flourishing operatic culture existed in Modena. 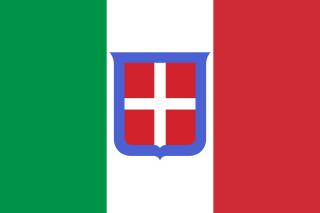 Italian unification, or the Risorgimento, was the political and social movement that consolidated different states of the Italian peninsula into the single state of the Kingdom of Italy in the 19th century. The process began in 1815 with the Congress of Vienna and was completed in 1871 when Rome became the capital of the Kingdom of Italy. Offstage chorus, dancer, silent figures. In a room inside the theatre the répétiteur (Maestro sostituto) is rehearsing with Giovannina Bellinzaghi Fenena's prayer from the fourth act of the opera Nabucco. The singer is expressing her doubts about the subject and about the artistic value of the work. During the dialogue enters impresario Bartolomeo Merelli, who defends the composer and his opera. He evokes the genesis of Nabucco and reveals his preoccupation with the Austrian censorship. The rehearsal pianist and the singer leave. Alone on the stage, Merelli is reflecting on the young Verdi and on the fact that his companion, Giuseppina Strepponi, seems attracted to him. The pianist returns and waits with Merelli for the arrival of Strepponi. The impresario talks about his intention to stage at La Scala Pacini's opera Saffo . When the singer finally arrives, he asks her to work on Saffo's aria, but she prefers Verdi's music and starts rehearsing Abigaille's trio instead. Her song turns into a dream in which she confesses that she feels a strange attraction for Verdi and his music. 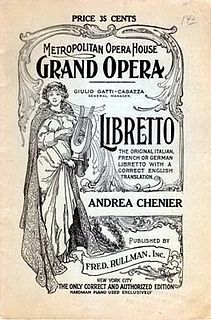 Merelli and the pianist return and are joined by Luigi Barbiano, Conte di Belgioioso, who brings the approval of the libretto. An excited political discussion follows between the Maestro sostituto and the count, who ends up by being offended and walks off, slamming the door. Merelli and Strepponi follow him. The pianist regrets letting himself get carried away and restarts rehearsing with Bellinzaghi. Fenena's prayer, too, dissolves itself in a dream, which anticipates the triumphal debut of the opera and re-elaborates various images of the Risorgimento. At the end of the dream, Giuseppe Verdi appears, aged and now Senator of the Kingdom. In his monologue he interweaves the nostalgia for the past with his preoccupation for the uncertain future. Le maschere is an opera in a Prologue and three acts by Pietro Mascagni to an Italian libretto by Luigi Illica. Raffaele Ferlotti was an Italian operatic baritone who had an active international career from the 1830s through the 1860s. He was a regular performer in Italy's leading opera houses, especially La Scala, and created roles in several world premieres. On the international stage he performed in operas in Austria, England, France, and Spain. Franca Mattiucci is an Italian operatic mezzo-soprano who had an active international career from 1963-1987. In her native country she made appearances at the Arena di Verona Festival, the Baths of Caracalla, La Fenice, La Scala, the Teatro Comunale di Bologna, the Teatro della Pergola, the Teatro dell'Opera di Roma, the Teatro di San Carlo, the Teatro Donizetti, the Teatro Margherita, the Teatro Massimo Bellini, the Teatro Massimo, the Teatro Regio di Parma, and the Teatro Regio di Torino. On the international stage she performed at the Hamburg State Opera, the Hungarian State Opera, the Liceu, the Lyric Opera of Chicago, the Opéra de Monte-Carlo, the Sofia National Opera, the Teatro Colón, the Teatro Nacional de São Carlos, the Teatro Real, and the Vienna State Opera among others. ↑ "Teatro Comunale Modena 2010/2011 opera season". ↑ "Universal Music Publishing Classical presentation". Archived from the original on 2013-02-05. ↑ Gavazzeni, Giovanni, ed. (2011). Lorenzo Ferrero: Risorgimento! Luigi Dallapiccola: Il prigioniero. Bologna: Edizioni Pendragon, p. 32. Wikimedia Commons has media related to Risorgimento! .